CLUVER -Scythia et Tartaria Asiatica. CLUVER, P. - Scythia et Tartaria Asiatica. Scythia et Tartaria Asiatica. 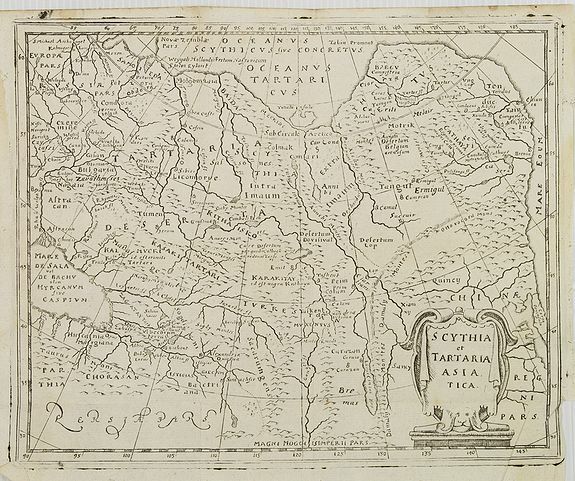 - CLUVER, P.
Title : Scythia et Tartaria Asiatica.. Description :Interesting map of Tartary and Scythia from a German edition of Philipp Clüver's famous Introductionis in Universam geographicam, first published in Leiden in 1624. Philipp Clüver (1580-1623) was virtually the founder of historical geography. Scythia is the ancient name of sections of Europe and Asia now covering present-day Ukraine, Russia and Central Asia.